A Dakota replacement is in the works. The Dodge Ram was the first midsize pickup truck. Once considered a dying segment, the midsize pickup truck market is showing fresh signs of life. Much credit is due to GM for releasing a pair of new trucks in 2015 — the Chevrolet Colorado and GMC Canyon. Those trucks lifted sales among such competing models as the Toyota Tacoma and Nissan Frontier, and rejuvenated the segment. 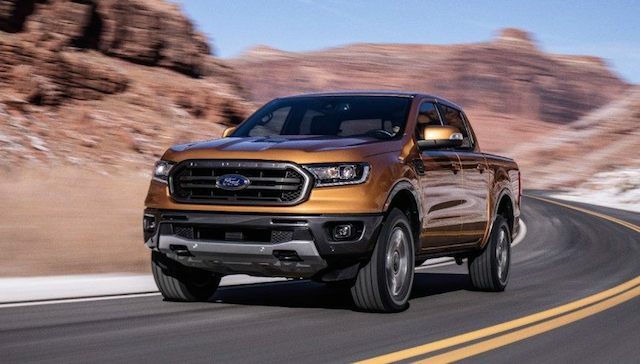 Early in 2019, the Ford Ranger returns after an 8-year hiatus. About the same time, the Jeep Scrambler joins the market, the first pickup truck from this SUV brand we’ve seen in decades. Honda has the Ridgeline, a crossover pickup truck based on the architecture underpinning the Honda Pilot. The segment isn’t done yet. A new model from Nissan seems imminent and the Tacoma will likely see a significant overhaul in the next year or two as Toyota seeks to defend its top position in the segment. Next up is a Ram pickup truck, an expected all-new model recently confirmed for production as reported by Automotive News. The Ford Ranger returns in early 2019. Not much is known about the Ram, which replaces the Dodge Dakota last produced in 2010 (it was sold as the Ram Dakota in 2011). What we do know is that the Ram will be built at the same Toledo, Ohio, manufacturing plant as the Jeep Scrambler. Both models are traditional body-on-frame and will likely have multiple powertrain, cabin and bed choices available. But the Ram, like the Jeep, will not be a high volume model. The segment has supported about 500,000 units annually, which is a far cry from the 2.4 million full-size pickup trucks sold every year in the U.S. alone. 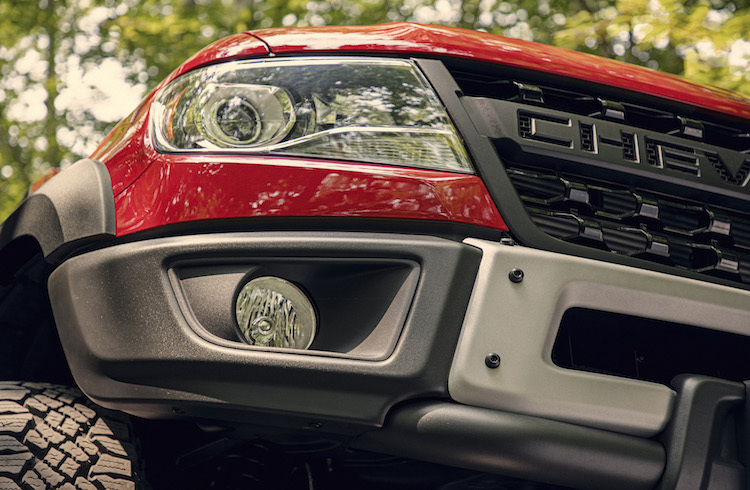 Manufacturers, however, may look at midsize pickup trucks as the key to improving overall fuel economy. Yes, full-size pickup trucks from GM, Ford and Ram earn up to 30 mpg highway when motivated by a turbo-diesel engine. But those engines represent only a small portion of the motors powering pickup trucks. 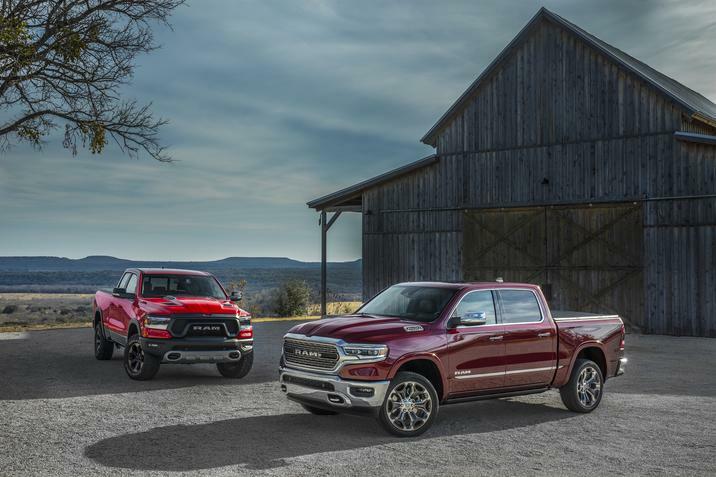 2019 Ram 1500 Rebel (l) and Limited editions (r). Ram is the first manufacturer to introduce hybrids, utilizing mild hybrids in some models. They’re not full-blown hybrids, but they do bring vehicle electrification along with the enhanced power to the segment. We’ll soon see plug-in hybrid pickup trucks, which will only enhance fuel efficiency. The smaller, lighter midsize trucks may prove the most efficient models as these come with standard four-cylinder engines. Just as Ram has the first hybrid trucks, we’ll see that technology spread to Jeep and to the Dakota replacement, as both brands are owned by Fiat Chrysler. The Jeep Wrangler, for instance, will soon boast a plug-in hybrid model, arriving on the market about a year after an available turbo-diesel engine debuts next year. It seems likely that whatever the Wrangler gets will head to the Scrambler. And because the Scrambler and midsize Ram share the same architecture, ditto for the Dakota replacement. 2017 GMC Canyon Denali Crew Cab 4×4 short bed. Although there isn’t much known about the new Ram pickup, there are a few things we can deduce. For starters, extended cab and crew cab configurations along with two bed size choices are a given. FCA’s venerable 3.6-liter V6 and a turbo-charged 2,0-liter four-cylinder engine should kick things off. One or both will be paired with a six-speed manual transmission or to an available 9-speed automatic transmission (standard with four-wheel drive). Segment-leading technologies, including infotainment and driver-assist features, will dominate the top-end trims. In all, the upcoming Ram should only burnish the brand. Given that, the Ram is only possible because of the Jeep Scrambler, which is based on the popular Wrangler. Together, the three models should deliver the profits the automaker requires to justify such models. A tricked-out truck for the midsize range. This ZR2 Bison has the attitude and off-road cred to go with it. Chevrolet just raised the bar in the midsize performance pickup truck category by introducing its latest model, the Colorado ZR2 Bison. 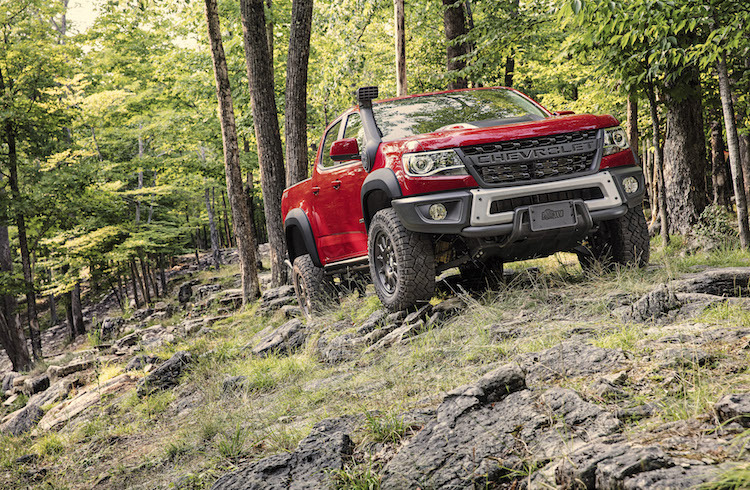 The Bison builds on the off-road-ready ZR2 thanks to a collaboration Chevrolet has with American Expedition Vehicles (AEV), a premium off-road aftermarket manufacturer. The new model goes on sale in January 2019. Here’s what you need to know about this tricked-out Chevy. If you’re a serious off-roader, then you know your pickup truck needs protection. Jagged terrain can puncture a gas tank or destroy expensive moving parts. 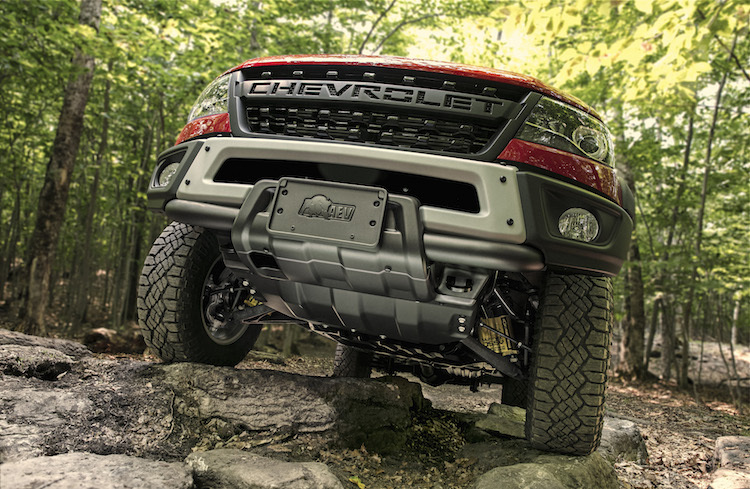 The ZR2 Bison gets five underbody skid plates, which is more than the usual three or four typically offered. The skid plates cover the fuel tank, the engine oil pan, the transfer case and both the front and rear locking differentials. AEV designed the plates, which are made of hard, durable hot-stamped Boron steel. The steel not only protects, but it adds minimal weight. 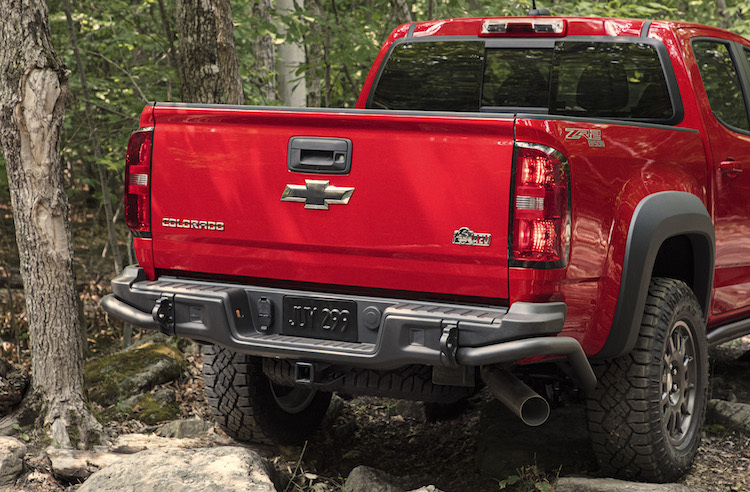 The ZR2 Bison benefits from reinforcing stamped steel for the front and rear bumpers. The idea here is to provide an additional measure of protection for drivers as they climb obstacles. You’d expect Chevrolet to make the ZR2 Bison stand out in other ways, right? Well, you won’t be disappointed. It begins with the unique flow-through “CHEVROLET” lettered grille, which replaces the expected bow-tie insignia. It is a look competing manufacturers have successfully employed (Ford and Toyota, for instance) and something customers seem to appreciate. 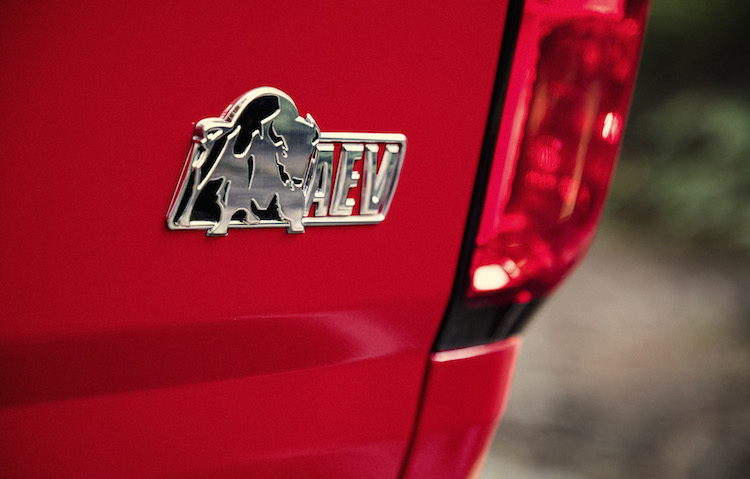 Other decorative changes include special “Bison” decals on the bed sides along with an “AEV Bison” logo on the tailgate. 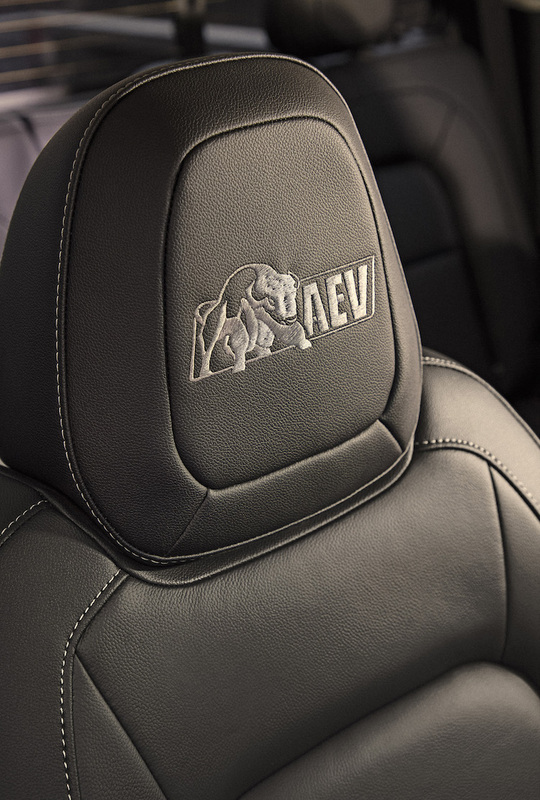 Inside, AEV logo floor liners and front head restraints complete the look. 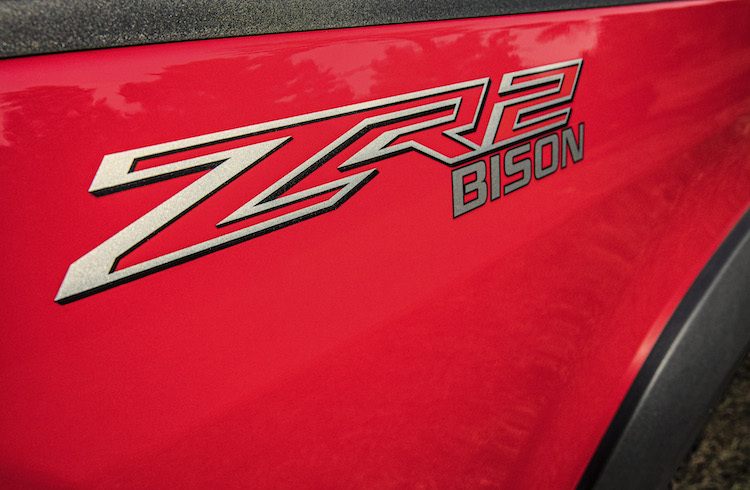 Go with the Bison and you’re building on the many attributes of the ZR2, including the unique front and rear locking differentials, which no competing model offers. Special Multimatic DSSV dampers are also unique to the segment. 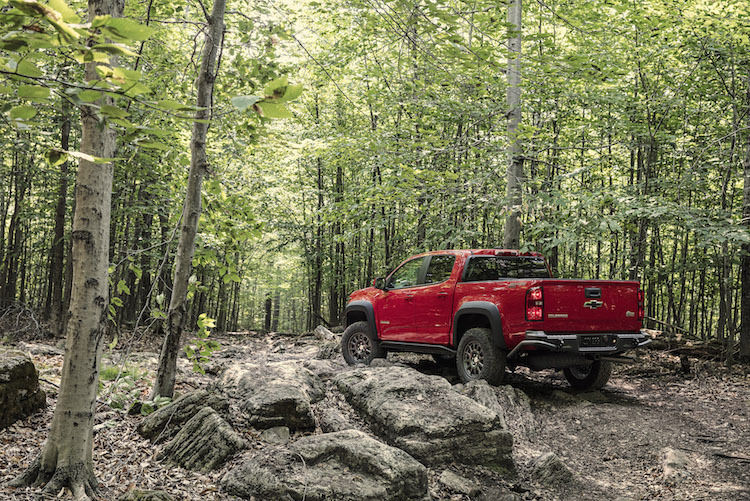 The ZR2 models come with off-road rocker protection, cast-iron control arms and an Autotrac transfer case. Both models have a modified 3.42 ratio rear axle along with front and rear tracks widened by 3.5 inches and a suspension lifted by 2 inches over a Colorado Z71. These models ride on 31-inch tires. Chevrolet will offer the ZR2 Bison in both extended- and crew-cab configurations. The truck is powered by a 3.6-liter V6 engine or customers may upgrade to the 2.8-liter turbo-diesel four-cylinder engine. Available equipment includes an accessory snorkel, which enhances air filtration on dusty trails. Chevrolet hasn’t shared pricing information yet, but we wouldn’t be surprised if the ZR2 Bison ends up costing at least $45,000. Choose the diesel engine and your final cost might push $50,000. That’s likely in the same territory that a future Ford Ranger Raptor model would cost, based on Ford’s midsize truck, which is also debuting this January. Chevrolet Colorado ZR2 Bison photos copyright the General Motors Company. All rights reserved.